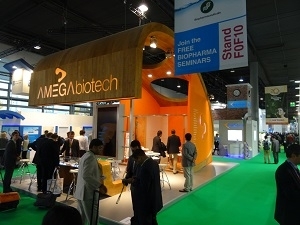 For a new consecutive year, AMEGA Biotech exhibited in CPhI Worldwide 2013, the leading pharmaceutical event held in Frankfurt. We welcomed partners, customers and visitors at our Booth Nr. 30G54 (Hall 3.0), looking forward to next edition in Paris (Oct. 7-9, 2014).